Consistent growth for your small business requires an investment of both time and money. One of the first steps to fostering that growth is to create and maintain a powerful brand identity. However, there are important steps to consider before choosing a logo and presenting your brand to the world. How Much to Invest in Your Small Business? Sales is the lifeblood of any business and a lack of marketing experience, which is a major contributor to consistent sales growth, is too often where small and local business owners fail. Many owners will invest heavily in fixed assets and human capital at the outset and then say “when business improves I’ll spend money on marketing.” But this is putting the cart before the horse! In order to gain a foothold, new businesses need to invest even more in their marketing efforts than their competitors, who are already established. In fact, while marketing budgets vary by industry, startups should plan to invest 10 to 15 percent of their sales in marketing, while successful, established companies typically invest 5 percent of sales ongoing. Successful businesses thrive because they are essential to their customers. Their customers have a common, identifiable need. They need food, transportation, communication tools, shelter, etc. Oftentimes local businesses succeed by providing a more specific solution to a problem for which only general solutions exist currently. Define a specific set of things your company can do that target a niche market and do that better than the competition. For example; consider a local landscaping company that serves upscale customers with superior service vs. another that provides basic lawn care at affordable pricing. Neither brand promise is better or worse; they simply cater to different niches in the market, providing a solution tailored to that niche. Pain – What’s the huge problem right now? Potential – What if there was a way (or better way) to solve this problem? Proof – Well here’s the solution; look at Joe and how much he loves it! Clearly defining the need and providing a better solution paves the way to sales growth. Spending time figuring out how you will solve your customer’s problem can help you determine what you small business brand will be. There is perhaps no more powerful key to marketing success than branding. Too many small business owners, lacking experience, will think of their brand as a too-fancy, over-designed logo. Local businesses often fail to clearly define their mission; the promise that they deliver a better experience than the big brands they must compete against. A tagline is a powerful brand communication tool and should convey your brand’s personality and promise in just a few seconds. Remember a tagline is not just a few words you make up out of thin air; it must convey to the market what makes your business different and relevant. A great tagline must answer the question: how do you solve the problem better than other options available to your customer? By the way; you can have more than one tagline; great taglines make great starting points for marketing and advertising campaigns. Think “Got Milk?” or “Just Do It”. There are endless creative ideas you can use to illustrate the promise on which your brand delivers. Advertising, on the other hand, is getting the word out to the market. 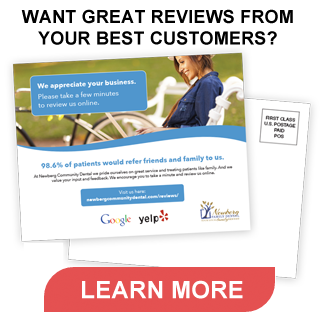 Referrals are the lifeblood of every local business. Using the internet to get customers talking about you enables local businesses to get referrals to new customers through the power of the networking effect. The larger your network the better! Don’t advertise until you have a good story to tell (pain, potential, proof); then get the word out. As writer Seth Godin asks: “What makes your business remarkable?” Define that first and make it operational; you must deliver on the promise before you spread the word. Once these elements have been carefully considered, you can confidently create a lasting brand to present to the world.